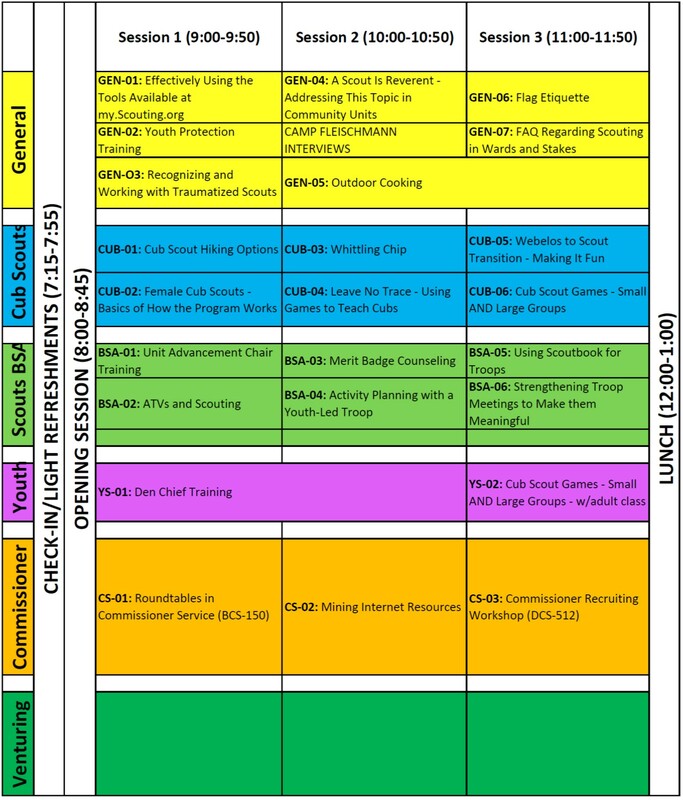 University of Scouting-East is the premiere training event in the eastern portion of Nevada Area Council! At University of Scouting, you will find training opportunities that will directly assist your daily efforts to support your youth and their programs. Registration is open to all adult volunteers and Venturing youth. The 2019 NAC-EAST event location is Great Basin College (1500 College Parkway, Elko, NV). It will be held on Saturday, February 23rd, from 7:30am to 3:45pm. There will be training opportunities that will directly assist Scouters' daily efforts to support youth and Scouting in their units. There are specific sessions that have been developed for interested parents and youth as well. Attend for the full day, or feel free to stay for just part of it. Childcare is available for $7.00 per child. The cost will include lunch and supplies. Please be aware that we are not in the position to accept children still in diapers. Waiver forms will need to be signed at check-in on February 23rd. Full Course Catalog and Silver Arrow Degree Program Information - Click HERE. Questions? 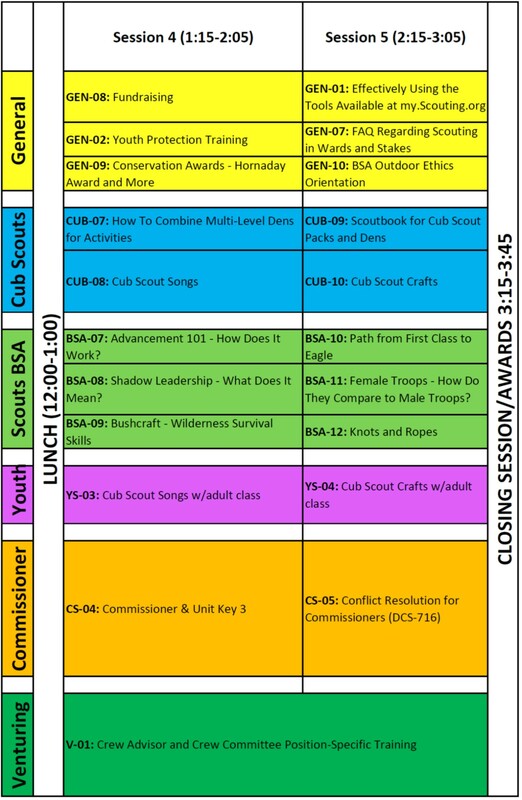 Contact Kathi Colbert, NAC VP of Training (775-934-4139, colbert@frontiernet.net) or Evan Pollock, Senior District Executive/Training Committee Staff Advisor (775-391-0204, evan.pollock@scouting.org). Complete a profile, which is a one-time process for this new site and different from your log-in for BSA in general. Add yourself as a participant, and go to “register” at the bottom of the window. If you know your unit number, please fill out that information. If you do not, please put in the unit number of your district: Sierra-1; Overland:-2; Bristlecone-3, Pinenut-4; Humboldt-5, Pony Express-6; Northstar-8; Lassen-11. Under Step 2, choose a category (in the middle). The courses for that category will then appear. If you click on one, you will see a course description. Clicking on the plus at the end of the line will enroll you in that course. You may continue to the end and pay, or wait for more information. You may leave the site and return later to edit or complete the registration. If you return to change or complete anything, sign on, and then click “Click here to edit an existing registration,” it will take you back to your registration. Add yourself as an available participant. Then you can return to your previous registration progress and continue. After 2/15/2019 a fee of $2.00 will apply to all Childcare (per child) Registrants. After 2/15/2019 a fee of $5.00 will apply to all Participant Registrants. No refunds will be offered for cancellations but registrations may be transferred to another Scouter. The participant taking over the registration must check-in at the event and indicate whose registration they are assuming. Substitutes should plan on going to the classes on the original registration.